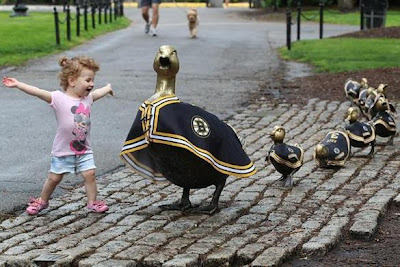 Jodi Bean's Blog: Game 7 - Go Bruins!!! 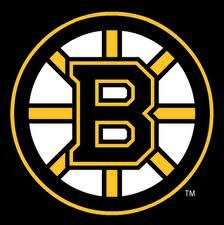 Game 7 - Go Bruins!!! 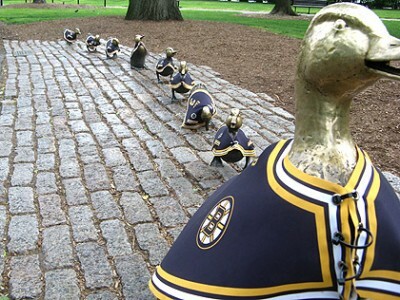 In honor of the Boston Bruins playing in Game 7 of the Stanley Cup Finals tonight I thought I would repost the blog post I wrote after meeting two of the team members at work! Reposted from November 1, 2010. . . The hospital that I work at is the official healthcare partner of the Boston Bruins. Today 2 of the players, Brad Marchand and Andrew Ference, came to visit some patients and staff. I got autographs from both of them but there wasn't time for me to pose for a picture w/ them so this one will have to do. They were both friendly (and super cute in case you can't tell from the pic). Work has some tickets available so hopefully I will get picked in the raffle (still have to buy them but you have to get chosen b/c there is a limited amount). Oh and Blades came too! The question is will I be able to stay awake tonight to watch the entire game? I have not made it through any of the other games (but to be honest I haven't really tried). I may or may not stay awake for Game 7 - it will depend on the score. . . I know I know die hard fans will yell at me but just keeping it real. If it was Game 7 for the Red Sox in the World Series that would be a whole other story b/c y'all know I'd be wide awake watching!!!! One good thing about 7 games is that we have received free cupcakes at work 7 times! They are yummy and I guess that is a perk of being the "official healthcare sponsor." Oh and the MWH babies born this week are sporting Bruins hats. Check them out! Boston fans are really getting into the spirit of it all!! I love that you got to meet them......now I'm off to read your London post! great blog! I am visiting from the hop! I am your newest follower and would love it if you would follow me back! thanks so much! That is awesome!! I'm cheering for them!! 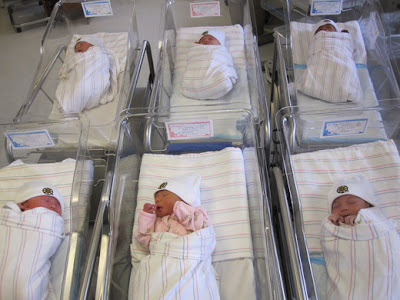 Your nieces are adorable, and you definitely lead an interesting life!!! Jodi, hi, I'm Barb, and I've stopped by your blog via the Super Stalker Sunday blog hop! New rss feed follower and GFC follower!!! My blog is called FL MOM'S BLOG. I ♥ Weekends. . .
How Long Would You Wait To Meet Tim Wakefield?